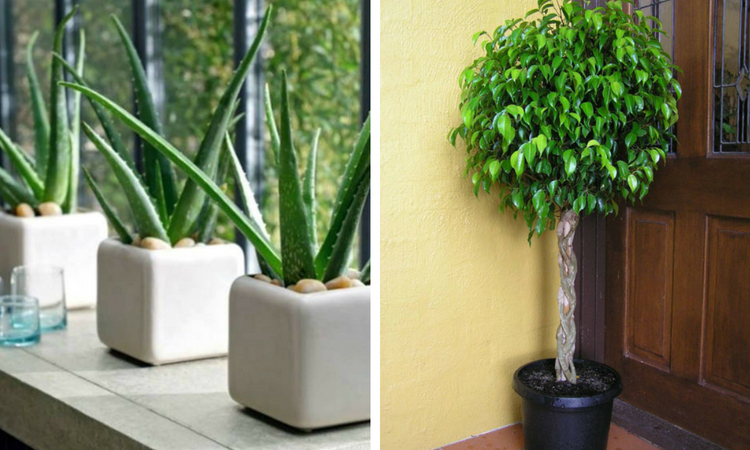 5 Plants to Keep Your House Naturally Cool! In the hot summer time we are all dependent on artificial air conditioning of our houses and work places so that we can function normally. But this summer we have opted to air condition our rooms in a completely different way – we use 5 cooling plants tonaturally aerate and cool our surroundings. The results are really amazing – we do not have to use the ‘turn on’ button of our air-conditioning device anymore! When we use technological air-conditioning and fanning units (so to speak), even our temporary exposure to it can harm our health. Indeed, these common air-conditioning devices are known “brewers” of bacteria and viruses in closed spaces. But, air-conditioning with plants is a far, far cry from this: not only all-time exposure to ‘green air-conditioning’ is harmless for humans, but it is also very beneficial! Our recommendation is not to stay outdoors too long, exposed to the blazing summer heat, but rather enjoy the coolness and freshness of well-aerated indoor accommodations. Vitamin D [that we get from the sun] is truly healthy for our bones and overall health, but in normal amounts. What we must all know is that too much exposure to sunlight can also damage our skin and eyesight. This plant can effectively remove toxins and carbon dioxide from air. At the same time, experts say it can play an important role in increasing humidity inside your home. Note: When choosing this plant, pay attention to get one with thicker trunk at its foundation as this type will be easier to maintain. This plant is renowned for its great medicinal benefits. It can keep low air temperature, and thus continuously protect our house from overheating. The Aloe vera plant also helps to clear formaldehyde and benzene from polluted air, which can be a lingering byproduct of chemical cleaners used for household clean ups. This attractive plant is also known as a weeping fig. This tree removes pollutants from air, rendering plenty of fresh and odorless air across your house and patio. Also, this Ficus tree can keep your house very cool while outside shines the fiery sun. Just remember to keep it in a sunny or other well-lit spot in your house or veranda, notably near sunny windows and bright lamps. In this way, it can get enough sunlight during the day and night, and next increase oxygen levels around your house. The snake plant [aka mother-in-law`s tongue] is perfectly placed in your bedroom because this plant will not take oxygen away, especially at night, that is bedtime, like most plants do. On the contrary, it emits oxygen, keeping your bedroom fresh and cooled down, and letting you enjoy a deep, energy-restoring sleep. The plant Boston fern is not used for decorative purposes only, but also for its great health benefits. More commonly, it is used as a natural air purifier and humidifier for perfect homes. So, if you have difficult problems with formaldehyde and other toxins in the air, this is the best solution for you. Also, the Boston fern plant cools down your home in a natural and silent way, without that annoying, hissing sound that modern-day air-conditioners almost always make. Do use these money-saving, green alternatives to make your sweet homes, or premises, much healthier places for dwelling and working. It will be worth your while as the desired results come at once. Just find a suitable corner for them in your home and – presto! – your air will be cool-and-clean as never before! The toxins that you may have been inhaling for years making you weak and weary, will be gone, as if neutralized by a magic wand! After all, home is where you make it, right? To sum up, keeping plants like these indoors highly benefits the health of those who live in warm and humid climates. Other benefits include: eightened positivity, low levels of depression, stress and worry, healthier air and easier breathing [very important for people with respiratory complaints], improved concentration in school-going children and working adults alike. It seems good-enough to make us turn off that air-conditioning unit, at least for a while. Let there be light air to breathe inside our homes – our health is at stake!